With Readly you can read Let’s Grow and Cook and thousands of other magazines on your tablet and smartphone. Get access to all with just one subscription. New releases and back issues – all included. Growing your own fresh fruit, veg and herbs has become massively popular in recent years. 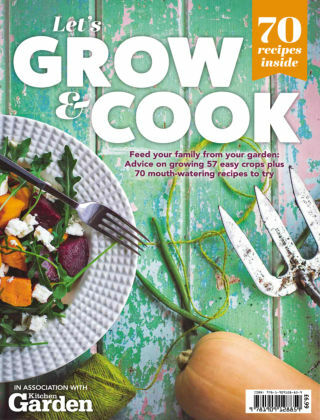 Let’s Grow and Cook is a brand new title taking a fresh look at the topic for a modern audience. Detailed growing advice is given for more than 50 crops including some that have become popular more recently, such as cucamelons and strawberry spinach. Growing the food is only the first part of the story, however; to get the most out of this truly rewarding hobby you also need to turn your produce into delicious recipes all the family can enjoy. So at the heart of this new title are more than 70 original mouth-watering recipes, each illustrated with a beautiful photograph from talented chef/photographer and regular Kitchen Garden contributor, Anna Pettigrew.